Throw Kilo Kish into the ring with any female rapper in the game today and, well, she&apos;d be confused. She&apos;ll get down to Azealia Banks&apos; "212" in the club and she likes Kitty Pryde&apos;s "Okay Cupid," but she&apos;s not sure of where she stands and doesn&apos;t really consider herself a rapper. It makes sense, as Kish&apos;s entire music career started as a joke amongst friends and she&apos;s never had aspirations to become the next big female MC. But alongside her manager A$AP J. Scott and with help from friends in Odd Future including The Internet, her soft, poetic vocals matched with her outer-wordly beats have a lot of people talking. The recent FIT graduate lives in NYC&apos;s Fort Greene neighborhood, and in her spare time pursues her love of fine arts, while learning French via Rosetta Stone, just because. She dropped her Homeschool EP earlier this year and her performance at the Top of The Standard brought out fans including Mos Def, Lena Dunham and Theophilus London, to name a few. Kish released "Watergun" this week and starts her tour alongside The Internet at Bowery Ballroom on Sunday. We caught up with her to talk her waittress past, working with artists like Childish Gambino, and how she was finally able to listen to her own music. 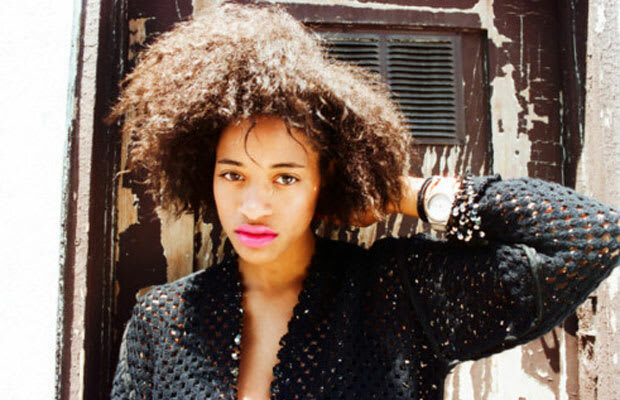 Read on to find out Who Is Kilo Kish?